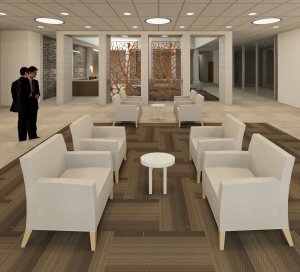 January 2019: New Year New Lobby @ the J! 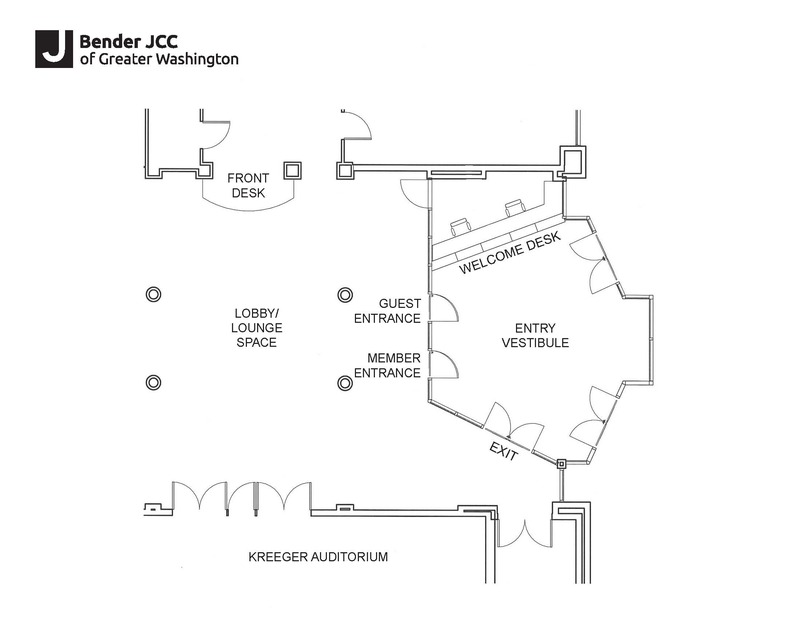 During this phase of the renovation, we need to make a few adjustments to the building hours and entrance schedule. We apologize for any inconvenience. 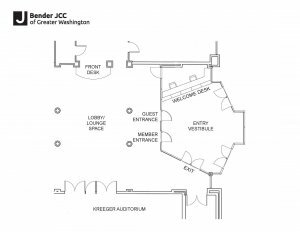 Thank you in advance for your understanding and patience as we renovate the lobby and complete the final phase of our centennial capital campaign renovation. 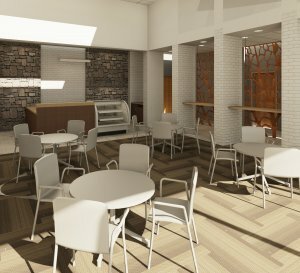 We know that you’ll love the new space! 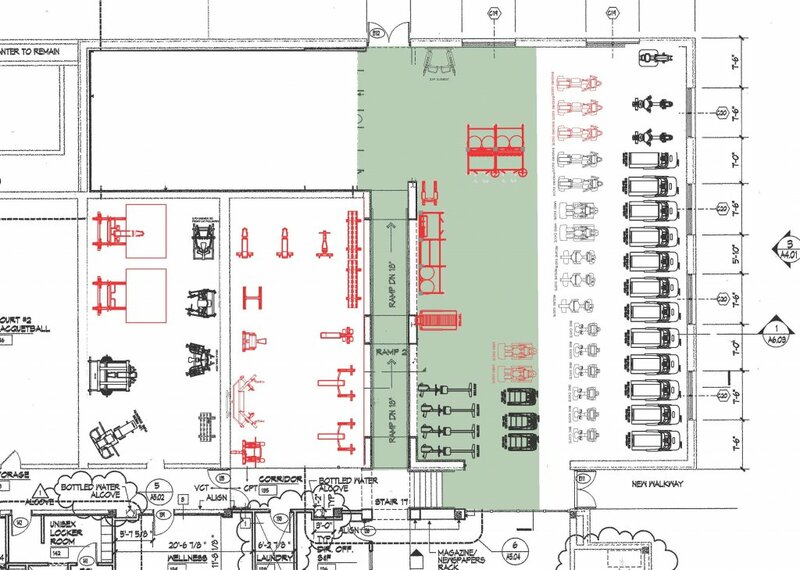 Creation of a functional fitness area with equipment and space that will better enable our members to focus on developing core stability and strength training exercises to enhance everyday life. 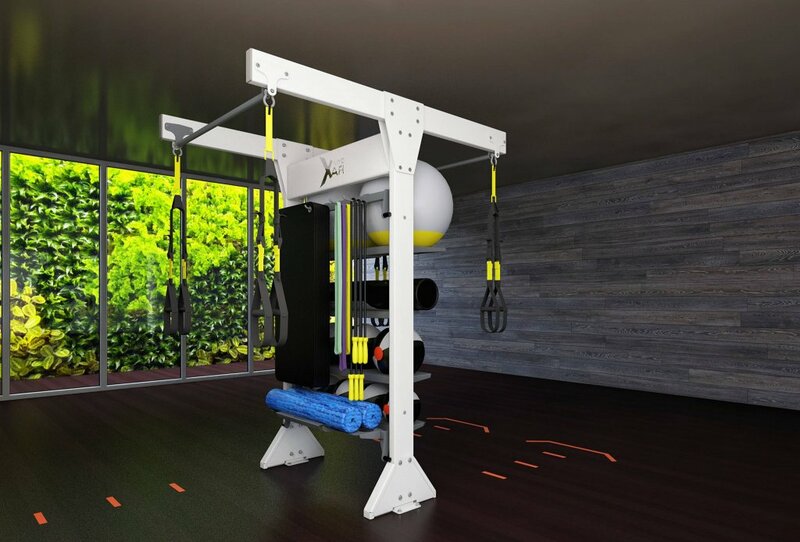 Functional fitness equipment can be seen below. 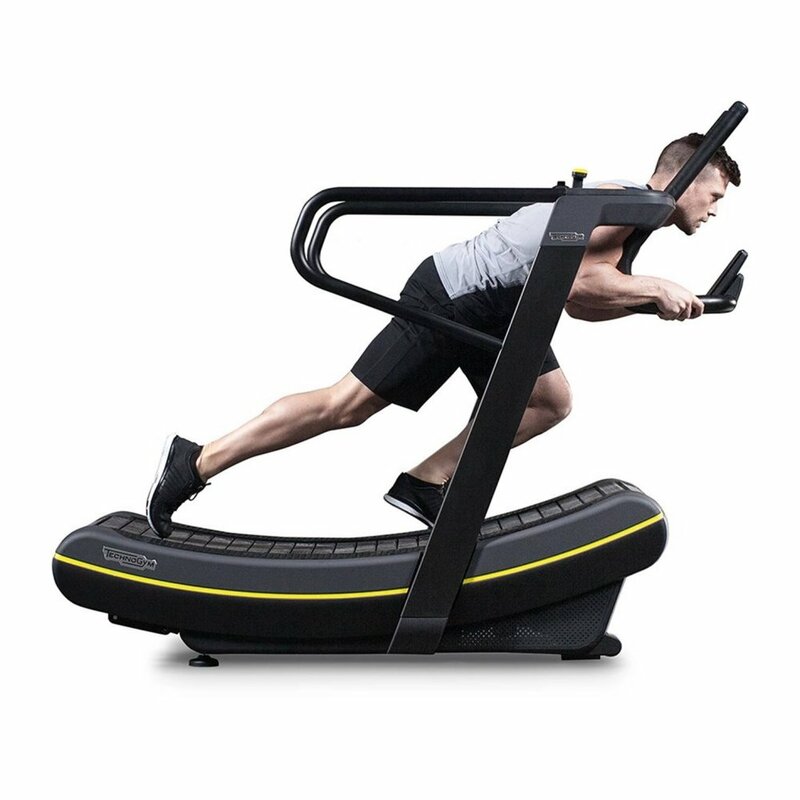 New cardio equipment: Skill Mill, arc trainers and ellipticals – see below. 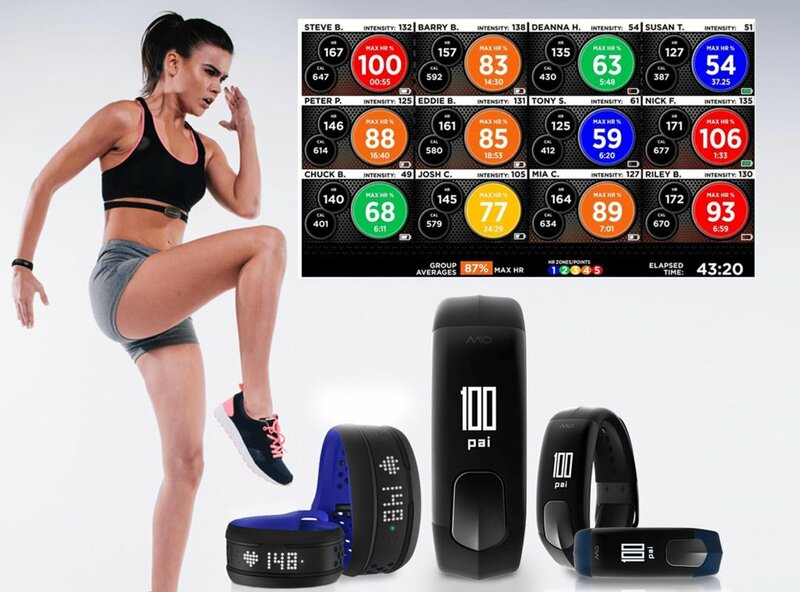 New WIRED heart rate monitoring system throughout the Health & Fitness Center and Group Studios B & C.
A turf-floored functional fitness area will be located in our reorganized cardio area. 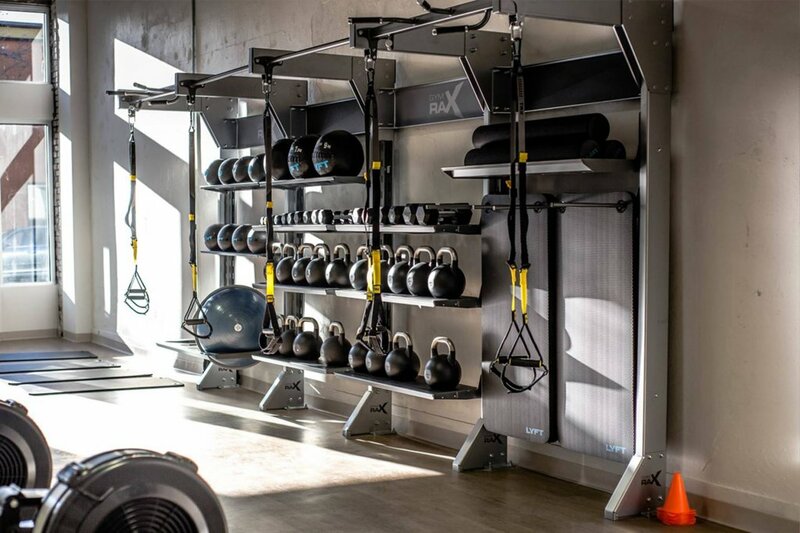 The new functional fitness area will allow for individual, small group and personal training use of on-trend equipment such as suspension training bands, rope pulls, kettle bells, battle ropes and more. The Racquetball Court #2 will be converted into a strength training room with new equipment such as Olympic lifting platforms with half racks. The new WIRED heart rate monitoring system will be installed throughout the Health & Fitness Center and Group Studios B & C. This will enable members to track their heartrates while exercising. The far weight room (near the indoor pool entrance) will be converted into a dedicated spin studio. We are moving into the next phase of our building renovations beginning Monday, August 27. This phase involves expanding our front entrance vestibule in order to increase physical security and help better manage the flow of traffic for members and guests. 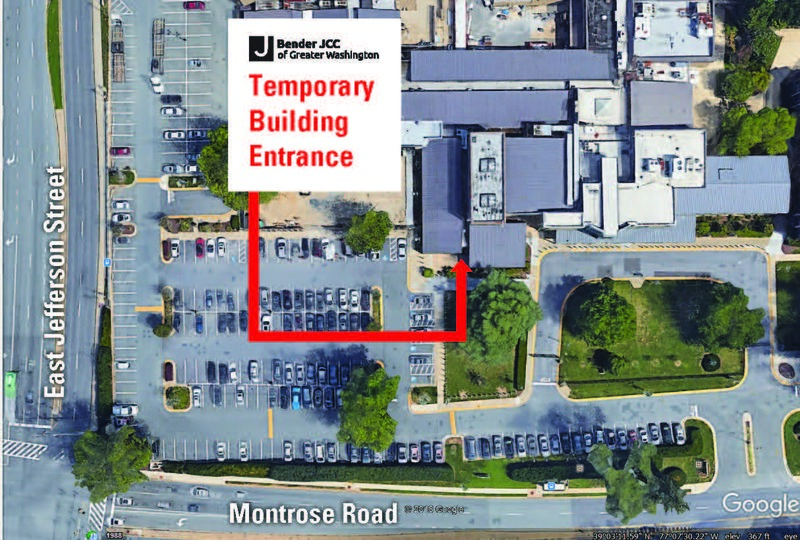 During construction, entry to, and exit from, the Bender JCC will be directed through the double-door entrance near the upper playground. Construction is expected to last through mid-October. 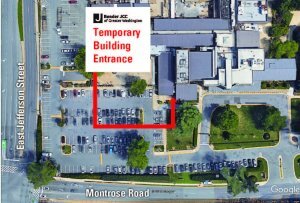 Directional signage will be placed in the walkway from the parking lots and throughout the building for the temporary entrance. Afternoon carpool for the preschool and KAS will continue to take place in the front circle. 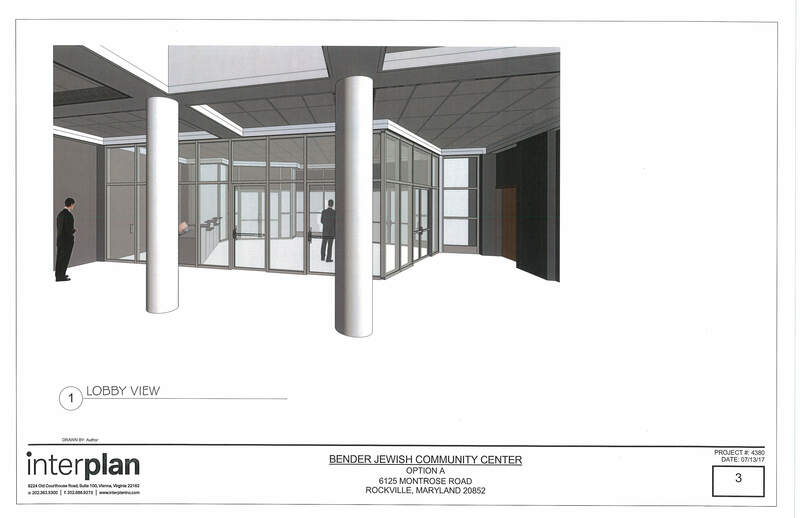 Renderings of the new entry vestibule are available below. 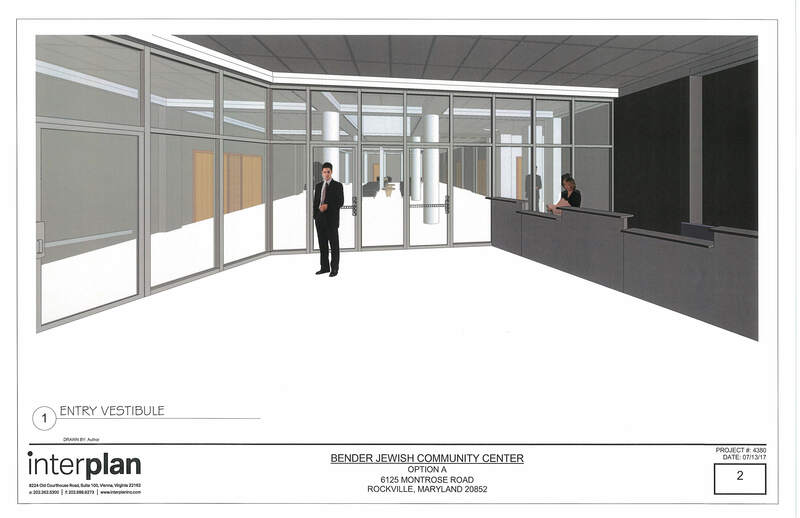 The final phase of our renovation will be an updating of the lobby and the adjacent rooms. It is being planned for next summer and we will provide the schedule and renderings in the spring.